The World Zionist Organization's Settlement Division used Israeli public funds to provide a mortgage for a settlement home belonging to Gilad Ach, who heads the Ad Kan nongovernmental organization, which employs undercover agents tasked with infiltrating left-wing organizations and documenting their operations from the inside, Kerem Navot, a group working to prevent the dispossession of Palestinian West Bank land, revealed. Construction in this settlement, Eli, is illegal under Israeli law since a master plan for it was never approved. The entire settlement of Eli is therefore illegal and none of its houses have permits, Haaretz+ reported. Today’s top story was the attempt by Israeli Prime Minister Binyamin Netanyahu to take down his greatest rival in the Likud party, Gideon Sa’ar, and prevent him from winning the second spot on the party slate in the Likud primaries Tuesday. Sa’ar responded saying he will “behave like the responsible adult, I won’t be dragged into a domestic war.” Only Israel Hayom played down Netanyahu’s conspiracy accusations, stressing that Netanyahu was ‘talking up his defense achievements.’ Netanyahu was also using highway billboards - with photos of him shaking hands with Donald Trump - to show he is worthy of the people’s vote. Haaretz+ noted that “Israel is one of the only countries in the world where close ties to Trump can be used as political currency.” Netanyahu has also given his backing to former confidant, David Sharan, who is embroiled in the Case 3000 bribery case. And a veteran Likud activist petitioned the High Court to order the attorney general to postpone the announcement of his decision on indicting Netanyahu in other corruption cases till after the elections. Netanyahu wasn’t the only one working up a sweat. Likud backbenchers were working hard to get every vote that would put them in the top 30 spots of the Likud list. There was also talk of more political team ups between parties. Associates of Benny Gantz and Moshe Ya'alon, who already teamed up, hinted at adding more political pacts. The Labor party, which is facing historic low popularity, is trying to lure voters who want Netanyahu ousted, Haaretz+ reported. Habayit Hayehudi council has recommended former IDF chief rabbi Rafi Peretz to head the party. Haaretz+ reported that the justices are unlikely to intervene. And the Central Election Committee has said it is 'aware' that the internet could be used maliciously in the elections. The other top stories in the Hebrew newspapers were the beginning of the Israeli construction of an overground barrier on the Gaza border (video) and that Trump said he wants the US military to protect Israel, but that he still seeks withdrawing from Syria so the US will watch over Iran from Iraq. Like Netanyahu, Gantz Plays on the Anxieties of His Would-be Voters (Aluf Benn, Haaretz+) Benny Gantz's speech was an appeal to Ashkenazim that it's not too late to reverse Netanyahu's anti-elitism revolution. The Right has already won (Miri Shalem, Yedioth/Ynet) While Gantz and Lapid are aiming to gain right-wing votes, Gabbay is trailing behind with his social agenda and Livni is crashing, it seems the Israeli public has already accepted the fact the Left is headed for defeat. Forget Doves and Hawks: Where Israeli Parties Stand on Shabbat and Healthcare (Hagai Amit, Haaretz+) Haaretz sent a list of questions to all political parties, asking their positions on a range of issues from the right to strike to drafting ultra-Orthodox men into the army. Netanyahu's primary list settles scores (Yehuda Shlezinger, Israel Hayom) Netanyahu may not have an official endorsement list, but his associates have made it clear who his candidates are in the Likud primaries. 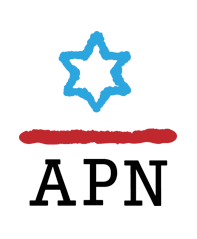 Slogans without backing: What worked for Yitzhak Rabin in 1992 will not work for Benny Gantz in 2019 (Dr. Haim Misgav, Maariv) The public is no longer buying the false hopes for a peace agreement. The left came to power at the time because of the loss of seats of parties that did not pass the threshold, but today it won’t happen. The IDF general as political rookie (Brig. Gen. (res.) Zvika Fogel, Israel Hayom) It is embarrassing to watch as courageous military commanders with high opinions of themselves press up against the political display window as if they were for sale at a campaign shopping mall. With Gantz on the Scene, Meretz and Labor Must Unite (Iris Leal, Haaretz+) The two parties on the social-democratic left need to unite for their own survival, and the demands they could make of a Gantz government would push us all forward. Yes, Israel Still Needs the Labor Party (Uzi Baram, Haaretz+) No real change will come with the help of Benny Gantz’s troops alone. They desperately need a strong, living, breathing Zionist left. Saving the Arab Vote (Odeh Bisharat, Haaretz+) The sensational departure from the Joint List of MK Ahmad Tibi, chairman of Ta’al, together with his party colleagues, shook up the market for division in the Arab community - Now everybody wants to be the leader. Racism Is Not a Game (Haaretz Editorial) Israel has a long way to go in eliminating racism, but soccer fields, which often provide fertile ground for such ugly phenomena, must be places where clear-cut preventive action is taken. Moshe Katsav precedent: Netanyahu should not appeal the Attorney General’s decision (to indict him before elections) in the High Court (Attorney Yehiel Gutman, Maariv) Even if the whole street supports Netanyahu, the decision will be made in the legal arena. The results of a petition to the High Court may reduce his chances of being acquitted in court. Gantz, Son of Holocaust Survivor, Mentions Bergen-Belsen but Ignores the Camp That Is Gaza (Amira Hass, Haaretz+) If Benny Gantz had the courage, he'd go to The Hague himself. International Holocaust Remembrance Day: In 2019 there are also survivors whom the state turned its back on (Liat Mia Lombrozo, Maariv) We forgot everything. We have forgotten those who survived the Nazis. Those who built this land. The ones that who because of them we live here, in one of the most developed and successful countries in the world. A new track for Israeli-Egyptian relations (Prof. Eyal Zisser, Israel Hayom) If in the past the Arabs only saw Israel as a way station to Washington, now Israel itself is the destination. Indeed, for many people across the Middle East, Israel has become a legitimate regional player with whom relations should be enhanced. The war has already begun: The Iranian regime is threatening, Israel is talking about actions on the ground (Yossi Mansharoff, Maariv) Iran is deterred not only by Israel's intelligence advantage, but by its translation into particularly deadly operations. Therefore, it understands that it is exposed in the Syrian court - and it is unlikely that it will want an escalation. Menachem Landau, former head of the Jewish (terror) unit in the Shin Bet, speaks: "The Shin Bet is the most דשמק institution in this crazy country"
You said in the past that the death penalty should be set for terrorists, even for Jewish terrorists? "If it is an exceptional case - yes." What is an exceptional case? "I do not want to go into definitions, just say that terror is terror is terror." You don’t have a problem? "Basically, I am against the death penalty for fear that an error may have been made, but if it is beyond doubt in something very, very brutal, I have no problem." The death penalty also for Jewish terrorists? In these 30 years, the things have changed. In Landau's days in the Jewish (terror) unit, the main actors were older, more ideological….The cooperation with the (Shin Bet) service was good, because it was clear to the public that terror cells in the area would damage the settlement enterprise...(Now the settler hilltop youth) don’t want anyone to dictate to them how to live, so they went to the hills. They made certain to separate themselves from their ancestors in everything, first of all in the mirror. The crocheted skullcap was replaced by the large woolen cap...Their house was the drifty hill or the remote (shipping) container. Each site provided conditions of isolation with God and sheep. The discourse has changed and the language has not lagged behind…From the middle of the previous decade, the concept of a "price tag" began to crystallize. 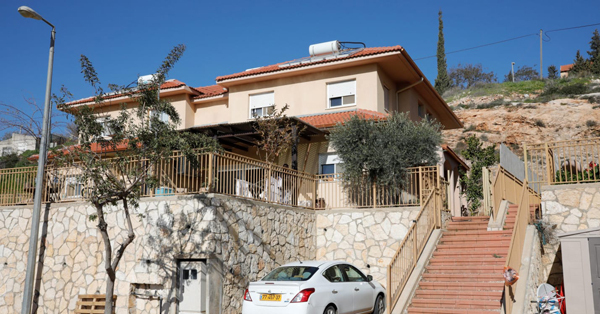 In the beginning, they devoted themselves to collecting the price of their evictions in Judea and Samaria, and continued to send revenge messages on Palestinian terror and ultimately it deteriorated to attacks on Palestinians for no immediate reason. These are only young people from the settlements? "The hill top youth come from all over the country. More ideological leaders know how to play with their heads, to spur them into violence that could endanger their lives. These children are between the ages of 15 and 16, not all of them live in outposts - they leave the house or the settlement or the yeshiva at dawn, and their father can’t see that? There is social pressure that makes people not hear or see (what they are doing), and I say to myself, 'Wait a minute, what's happening to you, don’t you have an interest in this phenomenon being eradicated?'" As a kippa, as a yeshiva student, did not you feel a connection, an empathy for suspects with a background similar to yours? "They don’t have a background similar to mine. I was not in the hills, they evaded military service and I enlisted in the IDF. Wearing a kippah and a beard doesn’t give them any discounts." You never felt bad about what you did? "Didn’t they try to assassinate Professor Zeev Sternhell (Jack Teitel )? And why? Because of his opinions." The criticism of the (Shin Bet) service, what does it do to the ranks? What is the answer to such a statement? "I justified him 100 percent, and I told him, 'I don’t know about the state, but from us, your guys, you have backing.'" The Shin Bet as an organization changed somewhat after the barrage (of criticism) it absorbed? "It's still a nature reserve, the most sane, most normal body in this crazy country."